In the spirit of getting ready for a new baby, my boyfriend and I decided to make some changes to our PC gaming room. The goal was to make a little more space in our overly crowded room for the new baby. 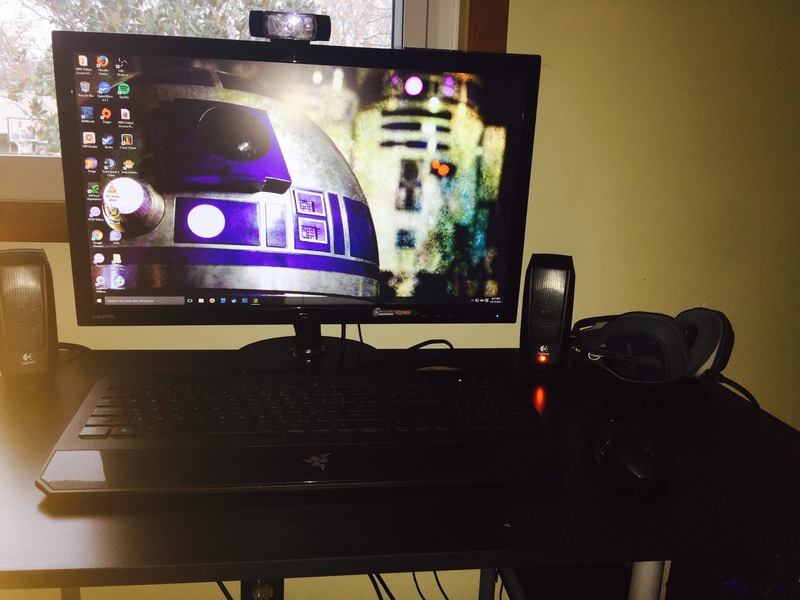 I decided to give up my big glass corner desk and 2 monitors and downsize to 1 monitor and a much smaller desk. 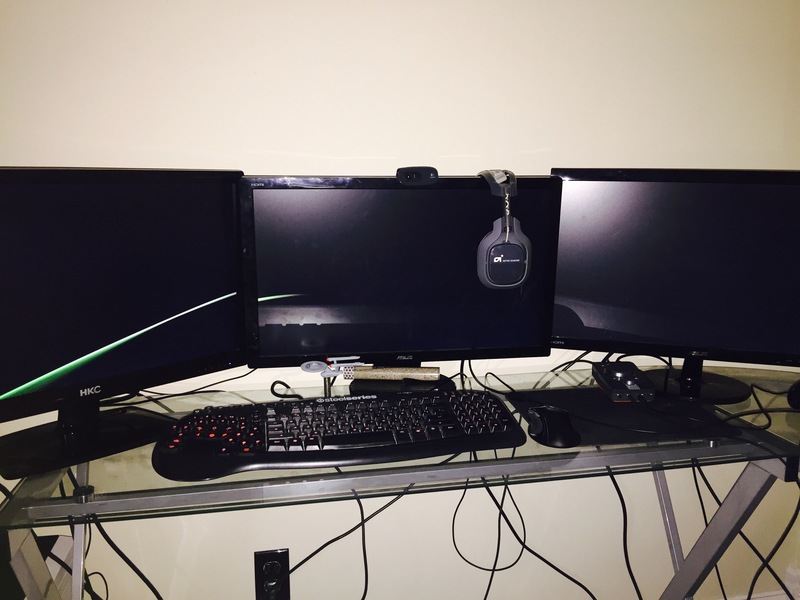 I didn’t really need the second monitor that much, so I donated it to my boyfriend so he could have a 3 monitor setup. He also took the glass desk. So what we ended up with is a little more breathing room and some space to bring in the baby swing or whatever baby gear we have on hand. Even though it’s a big downsize for me, I’m happy that my little space is cozier and I have a window view this time.